Below is a list of the most frequently asked question we receive. If for any reason your questions are not answered please do not hesitate to contact us. Can I choose the contents of my Veg Box? Absolutely! Browse through our shop and add individual items to your ‘cart’. You can choose the quantity/weight of each item. I would love one of the set boxes but there is something included that I don’t need, can I substitute it? Absolutely! Just let us know what you would like substituted and with what. Sometimes there may be a small price implication but we’ll let you know. 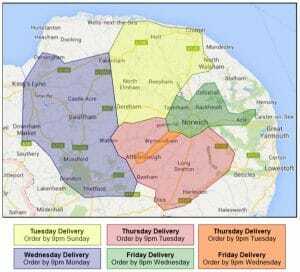 For free delivery the minimum order value is £7.50. For orders under £7.50 a small delivery charge maybe applied. 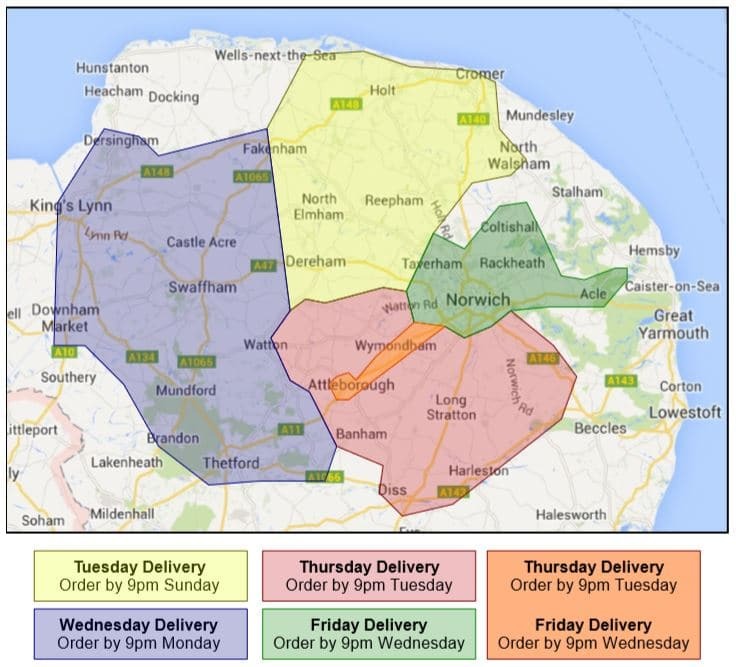 Normally your box order will be delivered when we are next in your area, please check our delivery map to find your delivery day (and delivery deadline). If you are unsure which day please contact us and we can advise. 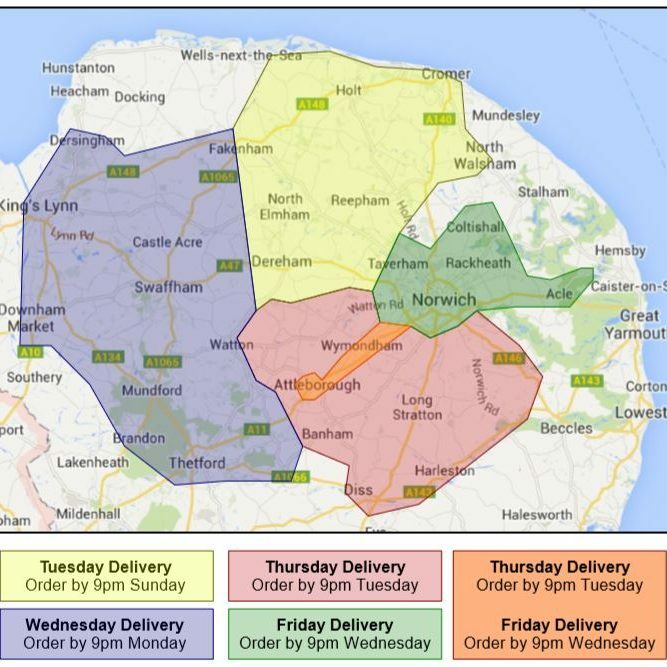 Delivery is free for orders of £7.50 or more provided you are within our current delivery areas. Can you tell me what time my order will be delivered? Yes, please contact us for an estimated delivery time. I have placed my order, but just realised I missed something, how can I add to my order? Drop us a quick email with what you would like to add and provided it’s not past the order deadline we’ll get it sorted for you. Even if the order deadline has passed we will always do try and accommodate any requests. If you are unavailable when we deliver we are happy to leave your box in a safe place of your choosing or with a neighbour. However, please make sure we are advised where this is before hand. Payment is either cash on delivery or by BACS payment prior to delivery. Can I place a regular repeating with you? Sure, please contact us with the details of what you would like to order and how frequently and we’ll set that up. What happens if there is something missing from my box? We are human and yes on occasions we do have things go wrong and something gets missed being packed. Please let us know as soon as you notice and well do our best to rectify this as soon as possible.